At the inception of Nollywood in the early 1990’s, there were many budding actors and actresses that dominated the screen. They rose to stardom and became household names. Corporate organisations went after them, using them as brand ambassadors to advertise their products and services. Mercy Mac Joe once told the story of how she flogged the street hawking to make ends meet. But the story is different today, as she has hugged the soapbox. An up and coming actress, Mary is a native of Eket in Akwa-Ibom state. The friendly and amiable actress joined the industry in 2011 and she has since then been working her way steadily up the ladder. ‘Crown Queen’, ‘Mad House’, ‘Blackberry Babes’, ‘The Lonely Princess’’ are some of the movies in her expanding movie pouch. A one-time Big Brother Nigeria first runner-up, Bisola Aiyeola, has been grabbing screen roles easily since she stepped up a few years ago. 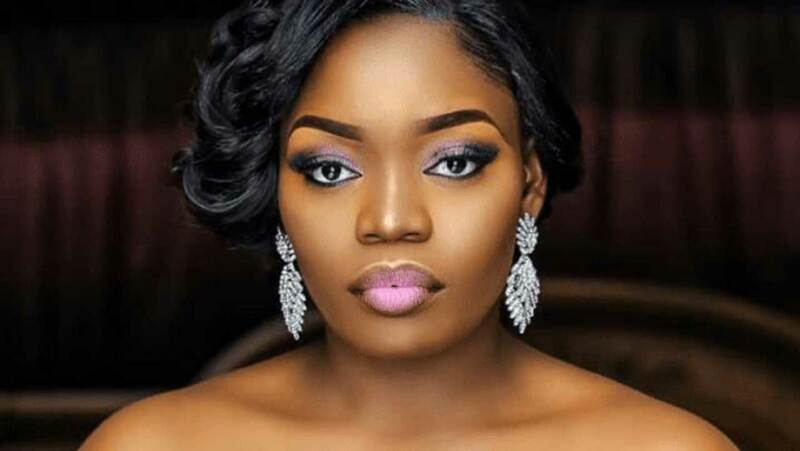 A singer, actress and star of ‘Ovy’ and ‘Picture Perfect’ and a couple of critically acclaimed short films and web series, Bisola who participated in the 2008 edition of MTN Project Fame is on a mission to remain on the list of the industry’s recognizable faces. Oma Nnadi is new but she is hot. 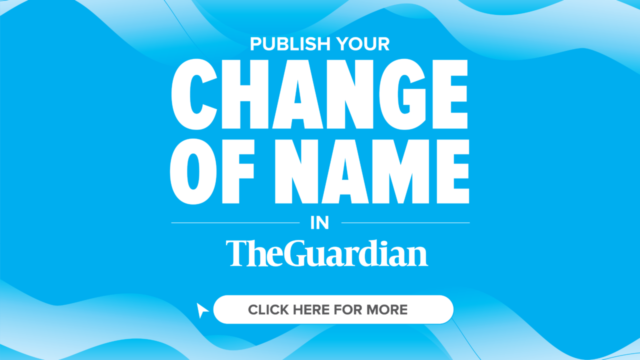 The star of ‘Village Babes’, ‘Sisters Battle’, ‘Devil in Disguise’, ‘Daughters on Fire’, ‘Village Babes’ and ‘Daughter of a Gambler’, though new on the bloc is doing so well that she is begging to grab some of the roles reserved for the established actresses. A native of Nkwerre, in Imo State, Oma looks set to continue to samba well on screen and she is likely to play at the top soon considering the number of scripts that has been lined up for her to feature in. In Kannywood, Garzali Miko is a prince. A producer, singer, dancer and actor, Garzili is one of the few new faces that have been blazing the trail in the Kano based movie industry dubbed Kannywood. A singer turned actor, Garzilo Miko, is one of the new faces that rocked Kannywood film industry in 2017. 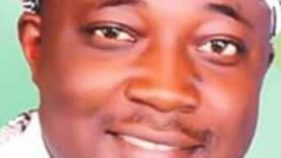 A multi-talented artiste, it will just be a matter of time for the star of ‘Arashi’ to get a permanent spot on the top rung of celebrated Kannywood actors. Delectable Zainab Balogun may be new in Nollywood, but the actress and show host is not new to acting. The ‘Royal Hibiscus’ star has featured in a Bollywood movie titled ‘Cocktail’ and in a Hollywood hit ‘The Dark Knight Rises’. Zainab recently shot into limelight as the lead actor in the romantic drama directed by Ishaya Bako titled ‘Royal Hibiscus Hotel’. The movie starred established actors like Jide Kosoko and Charles Inojie. She had earlier hit the right nerves when she featured in the two-part box office hit ‘The Wedding Party’. You probably wont find anyone among the large audience of Yoruba movies if you ask of Busayo Esther Adeyeye. But mention Ayo Adey and fingers will point to the Lagos born actress and product of the Psychology department of the University of Lagos. An actress and producer of mounting credits, Ayo Adey joined the movie industry two years after she completed the mandatory National Youth Service Corp Scheme. Since then, Ayo Adey has been pulling her strings, acting in and signing memorable productions. 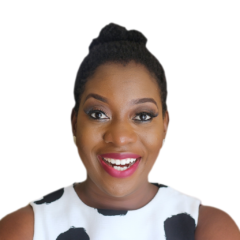 Inspired by the acting prowess of celebrated actors like Peju Ogunmola, Angelina Jolie and Joke Silva, Ayo Adey has signed notable productions including ‘Alarade’, ‘Ina Abe’, ‘Oko Longe’, ‘Ojiji Oga’, ‘Ohun Ton Dan’ and ‘Olofin Tooto’. Her career ambition is to make a difference in the Nigerian movie space nay Yoruba movie industry. Handsome and always well dressed; Bolanle is perhaps one of the most promising new actors of the last two years. Hailed by the yellow press as ‘Nollywood’s new bad boy’, Bolanle has been cutting the swath since he returned to the industry in 2014. He had taken a short break to attend to ‘other issues’. Since he returned, he has been walking in and out of location grabbing lead and supporting roles. Feyisara is easily one of the most promising Yoruba movie actresses and producer. She is one practitioner who is gradually earning the reputation of being the actress and producer with notable flicks. Still in her 20’s, Feyisara has featured in a number of movies and she has also signed a few as producer. She signed her first movie as a producer at 18 titled ‘Rokun Rosa’ andshe has so far signed about ten movies as producer. In her movie pouch are movies like Ipinle Ese and Aye Asan. Young and eager to catch the stars, Regina Daniels is one actress and movie producer that has conquered the hearts of many Nollywood enthusiasts in no time with her performances in many flicks, including Miracle Child, Marriage of Sorrow Dumebi in School, Python Girl, The Bat-Man, The Jericho (as producer), Plantain Girl, Jaja The Great, Twins Apart (as producer), Tears of Ojiugo, Wipe your Sorrows, Royal Covenant, Traditional War (Part 1), Stronger Than The gods, Omamme The Killer, Tears of Vengeance, and The King and The Python among others. Born October 10, 2000, the Nollywood rave of the moment, has featured in over 100 movies alongside established names in the industry including Mercy Johnson, Chinwe Owoh, Tonto Dikeh, Ngozi Ezeonu, Yul Edochie, Kenneth Okonkwo, Genevieve Nnaji, Ini Edo, and Chika Ike among others. The superstar teen actress picked up interest in acting at the age of seven in 2007, but got her mother’s (Rita Daniels), also an actress, approval to commence her acting career at the age of 10, with her debut being in the critically acclaimed Miracle Child. Currently a student of Igbinedion University, Okada, Edo State, she is fifth child of the family of six. She attended Hollywood International School. Committed to give back to society that has not only lifted her, but also given her fame and fortune, she created her charity organization with the name Regina Daniels Foundation. Well known with her debut and stage name, Chacha Eke, the actress and producer, TV personality, and philanthropist made her in-road into Nollywood in 2009, when she took part in the ‘Miss Nollywood Talent Hunt Show’, an acting competition held in Abakaliki, Ebonyi State. She, thereafter, started attending movie auditions and began acting minor characters. In 2012, she rose to fame after featuring in the movie “The End Is Near,” a movie that brought her to the limelight. 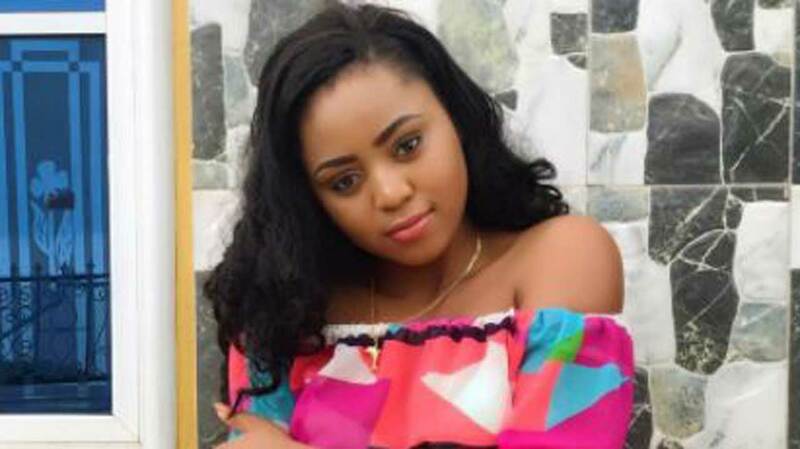 Currently one of the talented actresses in Nollywood, the Ebonyi State University Accountancy graduate is well known for ability to cry in movies, a skill that has earned her many movie credits including, The End is Near, Weeping Angel, Clap of Thunder, Roasted Alive, Gift of Pain, Secret Palace Mission, and Cry for Justice among numerous others. Her effort over the years paid off as she has been rewarded with numerous awards including, Best Actress of the Year, Africa Magic Viewers Award (AMVCA), Best Actress in a Leading Role, Africa Movie Academy Awards (AMAA), Most Prominent Actress in Nigeria, Best of Nollywood (BON) Awards, and Most Promising Actress in Nigeria, City People Entertainment Awards. 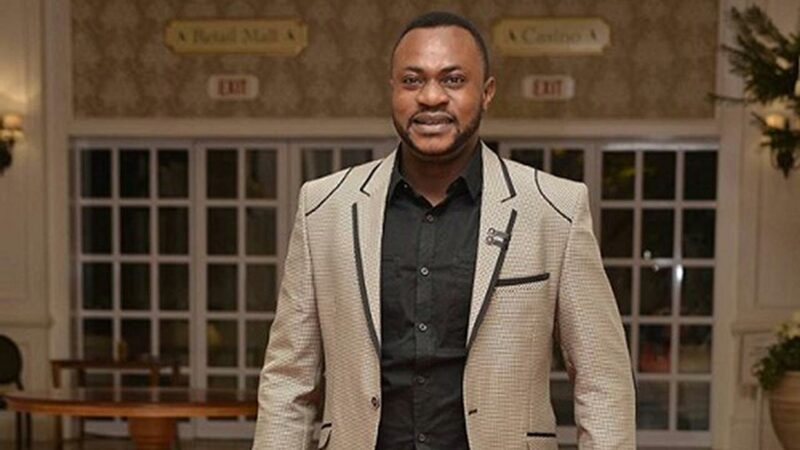 Christened Chiedozie Siztus Nzeribe but popularly known as ‘SAMBASA’ Nzeribe, an acronym of his philosophy about life ‘Surviving-And-Maintaining-Balance-Against-Societal-Aggression’, is a multi-talented actor, who made his debut in Nollywood not long ago. Though a trained theatre practitioner from the University of Lagos, the Anambra State born model and entertainer was introduced to performing arts in Catholic church by his late mother, Caroline, when he was about nine years old. He has in the last two years won more awards than many of his peers who have been in the industry for decades. His breakthrough into Nollywood was in 2013 in the multiple award-winning movie, A Mile from Home produced and directed by Eric Aghimien, where he played the role of ‘SUKU’ the leader of a notorious gang. The movie earned him a nomination for Best Actor, Best of Nollywood Awards (BON) 2014. 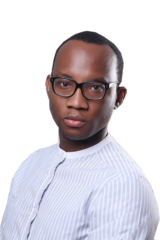 The actor in 2017 was voted the Best Actor at the Africa Magic Viewers Choice Award (AMVCA) for his role in Eric Aghimien’s Slow Country, twelve months after winning the best supporting actor category. He beat Richard Mofe Damijo (RMD) – Oloibiri; Ramsey Nouah – 76; Gregory Ojefua – The Encounter; Olu Jacobs – Oloibiri and Femi Jacobs – Remember Me to win the award. From Slow Country to A Mile From Home to the upcoming Tatu, Sambasa appears to partake in movie projects that play to his strengths and allow him to be as expressive as possible. His stage performances includes: Langbodo, The Duet, Idaoreh, Gods are still not to blame, Private Lies, Bandits & Beggars, No Penny for Mama, Death and the King’s Horseman among others. As a model, Sambasa has walked the stage for designers like Yakeen Kollege Kulture, PaPashey Clothings, and Diamond Touch, and also participated in pageants while at the University. Since her debut movie, Silent Scandal in 2009, the model turned-actress is gradually moving up the ladder as a force to be reckoned with in Nollywood. Her exploits in blockbusters like Two Brides and a Baby (2011), Hoodrush (2012), and Murder in Prime Suites (2013), confirmed she means business in the Nigeria movie industry. Her role in the movie, Silent Scandals, earned her an African Movie Awards (AMAA) nomination in 2009. She went on to win the Most Promising Actress award the following year, 2010. The same year, she also won the Best Upcoming Actress, ZAFFA Awards, and Revelation of the Year, Best of Nollywood Awards. Record has it that she began her journey into the world of acting, shortly after obtaining her degree in English Language from the University of Maiduguri. She has since featured in hit movies such as Twist, Timeless Passions, setting herself apart as an actress to reckon with. Born in Kano, the Umuahia, Abia State descent attended Federal Government Girls College Minjibir and St.Louis Secondary School both in Kano. 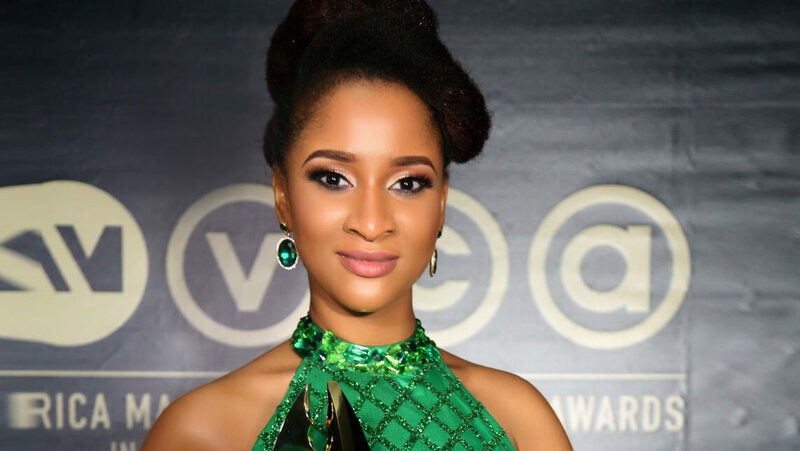 Regarded as one of Nollywood’s pearls and most multi-talented stars, Adesua broke into the movie industry limelight when she appeared in her first featured film, Knocking on Heaven’s Door in 2014. Born February 22, 1988 in Owerri, Imo State, to a soldier from Esan, Edo State and a Civil Engineer. She is the youngest of three children. Adesua has always had a passion for acting right from childhood. At the age of seven, she became a member of the drama club at her primary school, Corona School, Victoria Island, Lagos. She moved to the U.K. at 13, where she obtained a diploma in Music Theatre, Physical Theatre, and Performing Arts from The City College, Coventry, United Kingdom, and later University of Wolverhampton, where she graduated in 2009 with First-class Honours in Drama and Performance. After graduation, she stayed away from acting for three years to experience the world. She returned to acting in 2012, featuring at the Saga Tiata-Edinburg Fringe Festival in a drama titled The Miller’s Tale. Adesua started her acting career in the theatre while studying in the UK. She has featured in different plays such as The Crucible, Miss Saigon, Jesus Christ Superstar, Fractal, The Grimm Tales and Not My Cup Of Tea. Upon her return to Nigeria, she featured in different plays including Anatomy of A Woman, Shattered, Crystal Slippers, London Life Lagos Living, Saro, Secret Life of Baba Segi’s Wives, Band Aid among others. 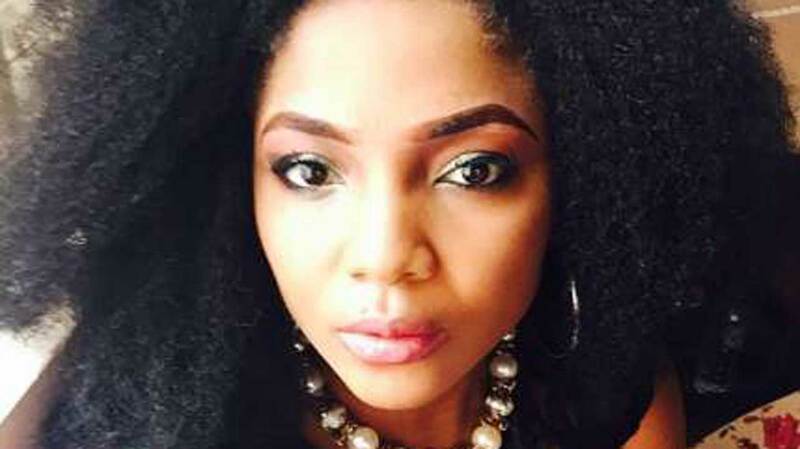 She has also featured in blockbuster movies such as: Fall, A Soldier’s Story, Out of Luck, Couple of Days, And The Spirit Slowly Dies, The Arbitration, The Wedding Party, Ayamma: Music In The Desert, and 10 Days In Sun City, as well as television series such as Gidi Up, Las Gidi Cops and Shuga. Her hardwork has not gone unnoticed, as she has won five awards including: Best Performance in a Devised Piece of Work, Foresight Theatre Award (2009); Best New Actress, Nollywood Reinvented Award (2014); Discovery of the Year, Golden Movie Award (2015); Actress of the Year-Big Screen, ELOY Award for (2015), and Best Actress in a Drama, Africa Magic Viewer’s Choice Award for (2016). Somkele as she is called kicked off her acting career in 2012 with her first feature film, Dreamwalker, directed by Neville Ossai. She came into prominence as a supporting actress on NdaniTV’s hit web series Gidi Up, directed by Jadesola Osiberu, where she acted the role of Yvonne, the fashion designer, working with award-winning actor and co-Toronto International Film Festival (TIFF) rising star, O.C. Ukeje. Somkele’s interest in the arts was ignited after playing the lead role in an adaptation of The Prodigal Son: The Clown, while attending Grange School in Lagos. In 2016, she became a name to be reckoned with after starring in three films — 93 Days (2016), The Wedding Party (2016), and The Arbitration (2016), which all premiered at the Toronto International Film Festival. She was same year selected to attend the TIFF as the first female international rising star. In 2017, Somkele appeared in the comedy-crime/heist thriller, Ojukokoro (Greed) with Wale Ojo, Ali Nuhu, Tope Tadela, and Seun Ajayi. The McMaster University, Canada trained Biochemist won the Ebony Life Prize For Acting at The Future Awards Africa 2016, and was nominated for Best Supporting Actress at the AMVCA 2017, for her role in the movie 76. 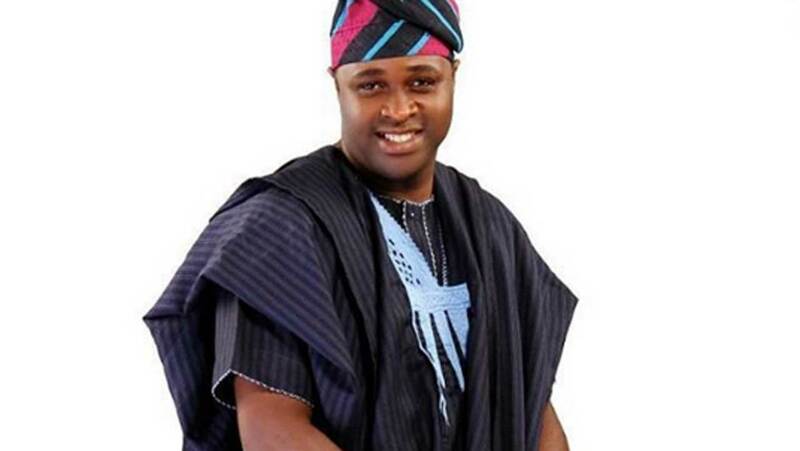 The multi award wining actor and producer is well known for his intriguing roles in the Yoruba movies. 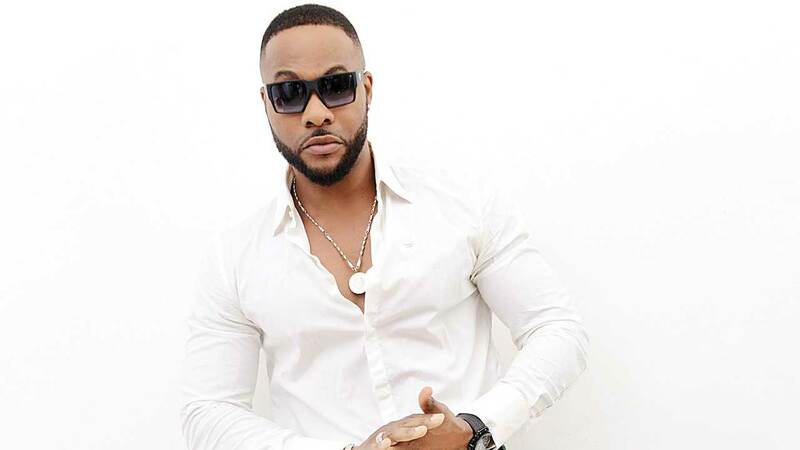 He started his acting career at a very early age, having been introduced to a theatre group that rehearsed near his house by his part-time actor friend, Tunde. According to him, whenever any anniversary was to hold in his church (the Christ Apostolic Church, Lafenwa, Abeokuta), he and Tunde would request to play jesters, and this request was always granted. 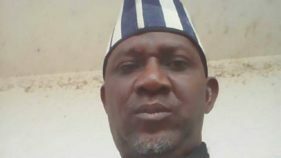 Having been motivated by actors like Taiwo Hassan (Ogogo), Adebayo Salami (Oga Bello), Lere Paimo (Eda), and other genius Yoruba actors, Odunlade or Odun as he is fondly called by admirers, began full time acting in 1996, the same year he joined the Association of Nigeria Theatre Arts Practitioners (now Theatre Arts and Movie Practitioners Association of Nigeria) and was under the tutelage of the late actor and producer, Isola Durojaiye (well known as Alasari). He had his big break 2005. In April 2014, he won the Africa Movie Academy Awards (AMAA), having emerged as Best Actor of The Year alongside Fathia Balogun, who emerged as Best Actress of The Year. In December 2015, he made his entrance into the Nigerian music industry. Born in Abeokuta, the Ekiti indigene has over the years starred, scripted, produced and directed several blockbuster films, including Alani Pamolekun, Asiri Gomina Wa, Mufu Olosa Oko, Kabi O Osi, Oyenusi, Sunday Dagboru, Olosha, Samu Alajo, Pepeye Meje, Adura, Ere Mi, Agbara Emi, and Olowori. The acclaimed actor came into limelight with his first movie role in Tade Ogidan’s critically accepted Owo Blow, which was shot in 1995. From that time to date, Femi, like his thespian father, Adebayo Salami (Oga Bello) has gone on to become a household name. His long list of movie credits include: Oba-Elesan, Tojo terun, Baba Ologba, Idanwo, Shola fe Pami, Ikan, Aranbada, Agbara Obirin, Mayomi, Ole, Inu, Orija ju Ogun, Ogologo, Fitila, Ile Sonto Alapata, Wura Ati Fadaka, Ma Wobadan and Buga among others. He won the Best Upcoming Actor of the Year 1996 at The Movie Awards in Nigeria. He also won four awards including Best Yoruba Actor at the 17th African Film Awards known as Afro Hollywood Awards, which held at the Stratford Town Hall, London and also the same category for the Best of Nollywood (BON) Awards in 2012. Currently, the Special Adviser to the Governor of Kwara State on Arts, Culture and Tourism, Femi in a bid to sustain the acting culture and empower people, founded a film school named J-15 School of Performing Arts in Ibadan, Oyo State. 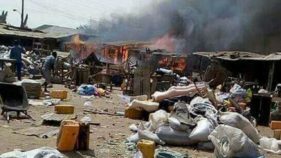 The school has churned out over 150 graduates since inception and boasts of graduates of Theatre Arts from other Nigerian universities as lecturers.